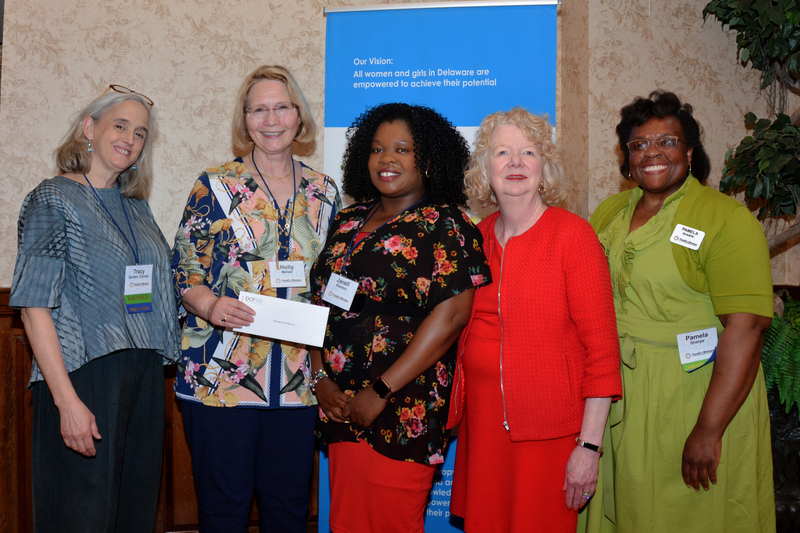 Janell Stanton, Acting Director, People's Place SAFE Program and Holly Melzer, Economic Empowerment Coordinator, graciously accepted a $15,000 Grant at the Fund for Women Award Ceremony on May 10, 2018. This award will help support the "People's Place Making Cent$ Economic Empowerment" project for domestic violence survivors. Survivors gain financial literacy education, credit improvement, training and saving incentives, plus micro-loan funding through the coaching of our Economic Empowerment Coordinator. People's Place is grateful for the award which will make a difference in the lives of many domestic violence survivors and their children. We would also like to send our sincere thanks and congratulations to Fund for Women on their 25th Anniversary of empowering women and children in Delaware.